The FIRST and ONLY ITALIAN VEGAN PATISSERIE in LONDON. 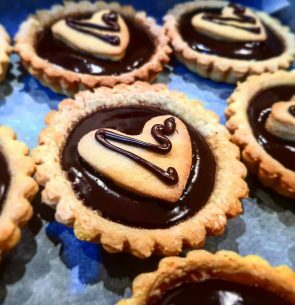 We specialise in Italian Vegan Bakery, Patisserie and Catering with professional chef experience of over 20 years bringing unique elements, balancing taste and flavour with a nutritional outlook. We place organic, seasonal and local foods at the core of our recipes and we love what we do! We also take orders for Birthday Cakes, Catering and in the winter we will start again with our Vegan Classes for everybody. You can find us every Sunday at Chatsworth Road Market in Hackney.